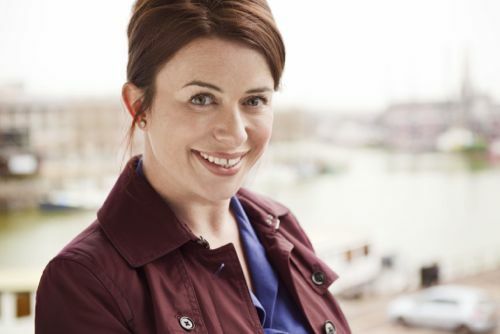 Meet Frankie, played by Eve Myles. District nurse, small town heroine and Ken Bruce addict. Who loves to boogie at any time of the day or night. The tracks of her years begin on BBC1 at 9pm tomorrow (Tuesday May 14) in a new six-part drama series written by Lucy Gannon. I was invited to the London press launch last month and reckon Frankie has the potential to be a big hit. “This is a really great populist mainstream drama. “They are some of the hardest pieces to make work. To make them smart, popular, intelligent. In truth, I was hooked after the first two minutes. Frankie Maddox is a one woman tonic who loves chips and cream cakes. Defiant in the face of an impossible NHS workload. “I laugh at cutbacks. I sneer at them,” she exclaims. Lucy Gannon has her typing fingers on the pulse of real life, real people and real problems. With some wicked flashes of humour. Just listen out for a particular ringtone on Frankie’s mobile phone. Below is the story I wrote on the day of the press launch. Followed by a few extras from the main Q&A. 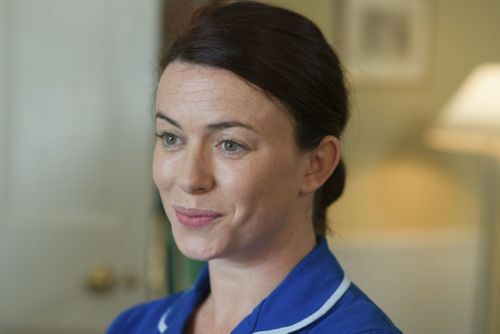 FORMER Torchwood star Eve Myles has spoken of her heartbreak while filming emotional scenes for a new TV drama. 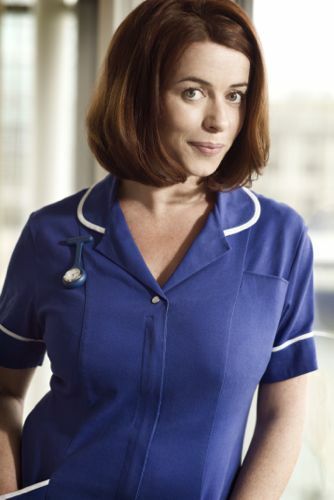 The award-winning Welsh actress plays dedicated district nurse Frankie in a six-part BBC1 series of the same name. A scene in the opening episode sees Frankie battling to save the life of an eight-year-old girl who stops breathing after suffering a cardiac arrest in a traffic jam. Eve said she found the storyline upsetting. “I’m a mum. So anything to do with children, it affects you. The quirky nurse, who puts her patients before her personal life, misses her own birthday party to help a woman give birth. While Frankie is also left battered and bruised when a dementia patient hits her in the face and she falls into a door. But she has her own prescription to release work pressures, with Eve busting a series of dance moves throughout the series. “At 34 you don’t get the chance to shake your booty on BBC telly – and I got a chance to do it,” she laughed. Frankie has an “addiction” to Radio Two’s Ken Bruce Show and treats her car as the office disco. Seen head-banging and singing at the wheel, Eve added: “She is a firework to play. You just have to go for it. Because if you don’t you’re going to look ridiculous. “She’s crammed every day with patients. They all are. There’s a tremendous amount of pressure – they’ve got to release somewhere. Me and Ken are like that! Writer Lucy Gannon said Eve embraced performing to songs like T Rex’s I Love To Boogie, Pixie Lott’s All About Tonight and Should I Stay Or Should I Go by The Clash. “It was a little bit like writing Soldier Soldier and trying to keep Robson and Jermome away from singing,” she added. Ex-Merlin actress Eve, who is set to marry long-time partner Brad Freegard, father of her three-year-old daughter Matilda, made sure she was fully prepared for the part. “My husband-to-be’s auntie was a district nurse and I’ve also got medical people living next door to me. So they’re sick to the back teeth of me because I pluck their brains about everything. 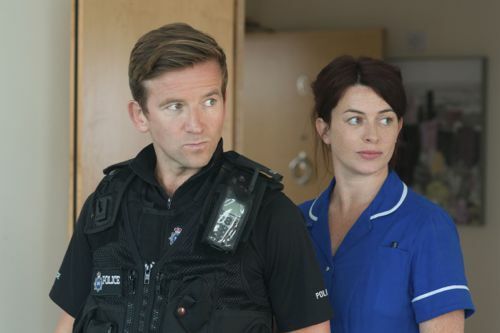 Frankie (Eve Myles) and Ian (Dean Lennox Kelly). 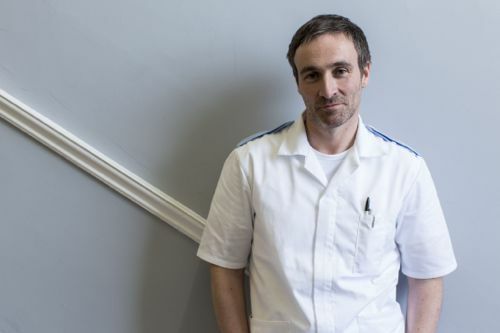 On screen next month (Tuesday May 14), Frankie was developed by the BBC at the same time as Call The Midwife and co-stars Dean Lennox Kelly, Jemma Redgrave and Derek Riddell. The first episode includes a Doctor Who in-joke as Frankie and policeman partner Ian, played by Dean, discuss sleeping with a Time Lord. “In bed with Doctor Who? Well I suppose it would depend on which one,” comments Frankie. “It was fun and that’s a nice little thing to be in there,” said Eve. Still known to millions as Torchwood’s Gwen Cooper, the actress said she originally thought there might not be a role for her in the drama. And she told of her daughter’s reaction when she caught a glimpse of her mother in bed with Dean, when Eve was watching a preview DVD of the first episode – thinking Matilda was asleep on the sofa. “It’s the entire family that they help. But they don’t like being made to look like heroines. They’re incredible. “When Lucy writes it down, the description of it is fantastic. You get a character like that, you can’t help but just wring it for all it’s worth. And go for it. Because if you don’t go for it you’re going to look ridiculous. So go for it, have fun and hopefully you’ll have fun watching it. There’s a lot more to come. “Ken Bruce was my saviour. When my husband died – my husband was Scottish and I really missed that male presence and the Scottish accent. 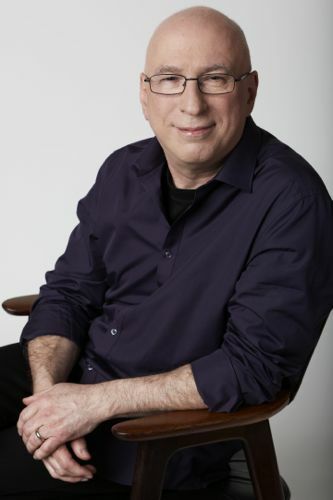 And Ken Bruce was that for me. I put him on every morning at half past nine and he would carry me through the morning. So that’s why I gave Frankie Ken Bruce. Posted in News and tagged BBC Drama, Ben Stephenson, Dean Lennox Kelly, Derek Riddell, Eve Myles, Frankie, Jemma Redgrave, Kate Harwood, Ken Bruce, Lucy Gannon. Bookmark the permalink. Please can anyone tell me WHO PLAYS THE FEMALE DR. IN THIS SERIES?????? Jo – Dr Zoe Evans is played by Jemma Redgrave. Click on the “BBC Frankie” link at the end of the blog to see details of all the cast members and characters.